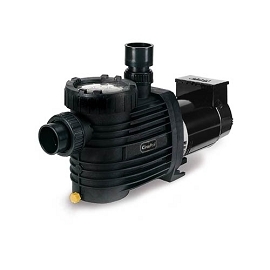 The TriStar® VS variable speed pool pump is specifically designed to replace most existing high performance pumps, providing incredible energy savings and customized operation. Offering up to 90% energy cost savings over single-speed pool pump alternatives via an integrated variable-speed drive and totally-enclosed, permanent magnet motor, TriStar VS is an ideal pool upgrade for those looking to reduce energy use and save money. 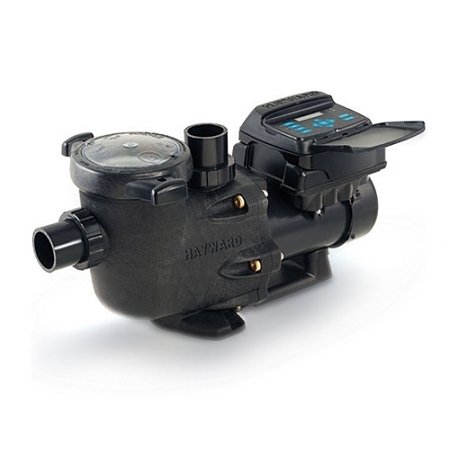 "Hayward’s TriStar VS variable speed pump delivers incredible energy savings via its advanced hydraulic design combined with a totally enclosed, permanent magnet motor. TriStar VS is easily installed as a programmable stand-alone pump and features an easy-to-use digital control interface for total user convenience." We were going out of town on our son's boyscouts retreat and worried the pool would be green if we did not get the pump in time. Had the pump in two days! Quiet pump, good investment. Energy bill savings are plus too! Had this about 18 months, already had to have it serviced and the whole drive replaced. Warranty covered the parts but still had to pay the service / labor. Makes a whining noise still, so not a lot of faith left at this point. Replaced a 2hp Super II pump. Installation was less direct than I hoped. Yes, it uses less energy, but that is if you run it at the lowest speed. At that point, my cleaner system, my salt system, and my solar systems start having problems. It needs more power, long story short. Permanent magnet, totally enclosed fan cooled (TEFC) motor offers incredible efficiency and reliability. Integrated, programmable digital interface with a 24-hour programmable clock and up to 8 custom timer functions. Union connections make installation and servicing fast and easy. Traditional pumps operate at set, unchangeable speeds. Those speeds are almost always higher than required. As a result, they overpower the jobs they’re assigned to do, which wastes energy. 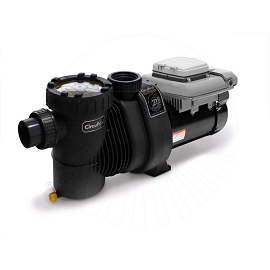 The IntelliFlo pump allows custom programming of optimum pump speeds for specific tasks such as filtering, heating, cleaning, spa jets and waterfalls. For virtually all applications, the optimum speed is lower than the preset, unchangeable speeds of older pumps. When water moves more slowly for longer periods, it helps reduce the occurrence of algae that forms more easily when water is pumped briskly and then allowed to rest for long intervals. Your filter works more effectively because it has more time to sift out particles from the water, and because particles aren’t forced through the filter media under needlessly high pressure. Automatic chemical dispensers and chlorinators also work better when water is kept moving.